Moto Guzzi - I Say Ding Dong Shop - Buy Stickers, Decals & Unique Automobilia. 850 -T3 Moto Guzzi One Piece Script Cut to Shape Metallic Sidepanel Stickers. 5" Pair. Agip Formula Moto 4T Vertical Stickers. 6" Pair. 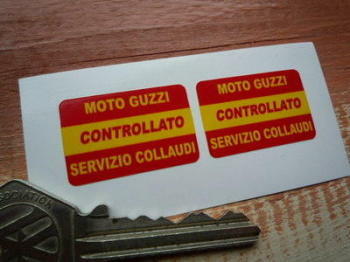 Moto Guzzi & Agip Servizio A Service Sticker. 2". 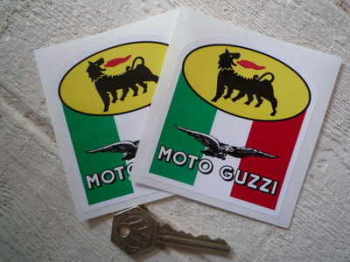 Moto Guzzi & Agip Tricolore Stickers. 3" Pair. Moto Guzzi 21st Century Eagle Stickers. 5" Pair. Moto Guzzi 750T Stickers. 4.75" Pair. 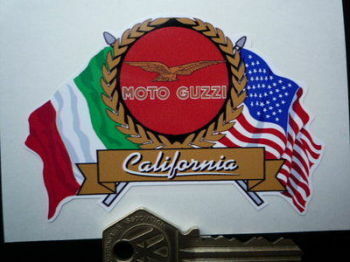 Moto Guzzi California Flag & Scroll Style Sticker. 4". Moto Guzzi California Shadowed Text Stickers. 5.75" Pair. Moto Guzzi Controllato Factory Quality Control Stickers. 1" Pair. Moto Guzzi Cut Out Soaring Eagle Stickers. 4" or 6" Pair. Moto Guzzi Eagle & Text Oblong Stickers. 4" Pair. 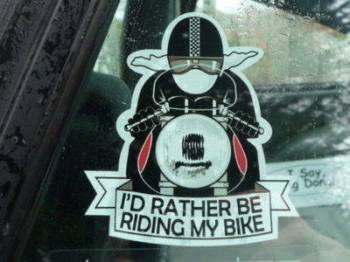 Moto Guzzi Eagle & Text Style Window Sticker. 6" or 11". 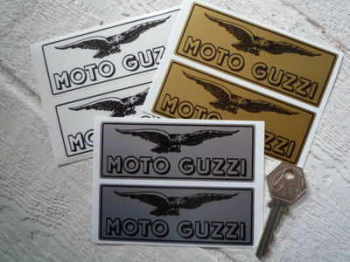 Moto Guzzi Eagle Modern Style Self Adhesive Bike Badges. 4.5" Pair. 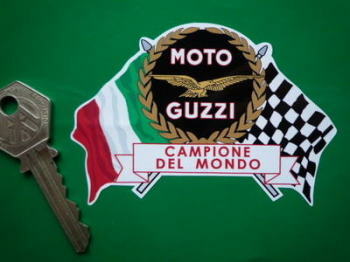 Moto Guzzi Eagle Style Champion Spark Plug HT Cap Cover Badges. 29mm Pair. 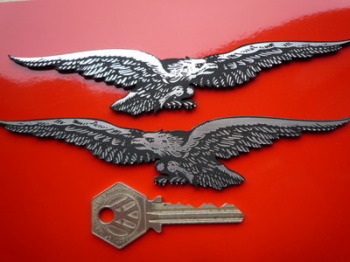 Moto Guzzi Eagle Traditional Style Self Adhesive Bike Badges. 3.5" Pair. 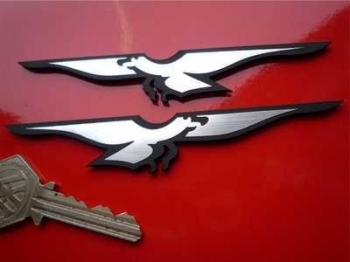 Moto Guzzi Eagle Traditional Style Self Adhesive Bike Badges. 6" Pair. Moto Guzzi Eagle Tricolore Oval Stickers. 3", 4", 4.5", 5", 6" or 8" Pair.